Texas Christian University has a chant that has been around since the 1920s. Over the years, the chant fell out of vogue, but was recently reinstated at TCU football games due to the efforts of @schaferadco. Three of their employees, who usually sit behind computers, jumped at the chance to do the artwork. "We just learned as we went. One of the coolest parts of the process was when a local graffiti artist happened to be driving by. He said we wouldn't be able to do all the work with the spray paint cans as they are. He gave us different sized nozzles to help us with our design." Lots of TCU grads come to have their photos taken in front of the wall. Search the #riffram hashtag to see all of the photos that have been taken in front of the mural. It is right next to the newly opened Magnolia Micro Park and shall remain a Fort Worth landmark for some time. You can see a time lapse of the painting process at schaeferadvertising.com/work/making-riff-ram/. Each of these murals is like a mystery I need to solve. I started my search for info on this one by going in Cartan's Shoe Store, but they were incredibly busy selling shoes so I decided to reach out to @fwbikesharing to see if they knew who painted this bright & beautiful bird. But, it was actually @frankkentcadillac who was behind this mural. They own the building and wanted a fresh look for the Henderson Street side. They commissioned Todd Bot, a local artist they met at a local food and wine event held at @kent_and_co_wines. I spoke with Will Churchill of Frank Kent about the piece. He said, "Everyone has their own interpretations of what this mural means to them. We did want a nod to Fort Worth and so Todd added the @keepfortworthfunky mustache on the headphones the bird is wearing." So, when you drive by this mural you get to give this local bird a story. Todd has since moved to Florida, making this his last local Fort Worth piece for the time being. You can check out more of his work at toddworldart.com and on Facebook. Artist Brad Smith was not hard to find because his info is painted on the mural (so helpful) at @shippingandreceivingbar. S&R Owner, Eddie Vanston, commissioned Brad to do the outside of his building. Brad said he was so excited because this wall was so smooth and ready for an amazing mural. He said, "This mural is always evolving. I started with a general idea and I keep adding to it when I get time. I started with the stars and then there were so many bombings and things going on with violence around the world, so I transitioned from the stars into guns." We talked about each element of the mural. The words 'Pay Attention' are an homage to his son's documentary called 'Pay Attention This is Important.' You can see it at vimeo.com/79177109. The couple looking at the clock represents the idea of Americans wanting to go back to the 50's, what some consider a perfect time in American history. "Really," Smiths says, "I just wanted to paint something positive and colorful. It's a fun ongoing project that I really enjoy." He says he'll be adding more with whatever the times call for. He's already added Snowden to the mix...go see if you can spot him. You can check out more of his work or hire him at bradsmithart.com or on Facebook. I already knew Adam Werner was the artist of this mural because I had connected his drawings to some 'coming soon' drawings before the new Magnolia @stircrazybakedgoods opened. He and his wife, Robbie, own Stir Crazy so I went in to inquire about the mural. He was on vacation, but was kind enough to send me some info. "I was actually invited to paint it as part of Arts Google 2014 when several walls in the south main village got an artistic facelift of sorts. What inspired my design was the neighborhood itself and the coexistence of both an influx of creative ideas and culture with a certain amount of hardship and poverty that the area is also known for. The neighborhood is sort of at a crossroads or corner and decisions have to be made with all the people involved considered in one way or another. I just had a great time painting it in front of a lot of people in one day at Arts Goggle. Some people got a head start on their mural, but I did it all that day in about 8 hours, and it was fun hearing everyone's feedback and watching people take pictures with it. I still get people tagging me on Instagram when they spot someone else's picture of it that I might not have seen. That's always flattering to find." I've enjoyed Adam's work and I know many of you have too. Shout out to Tucker and Lori Henderson who own the building and allowed such cool art to live on their wall. You can follow Adam at @817bikegang. Brewed Marketing & Community director, Joey Turner, provided me with insight into their vision for their mural. "Our desire behind creating this mural was to continue to follow through on our mission of Blessing The City, so we wanted it to be more about Fort Worth than @brewedfw. We created @brewedfw simply with the mission to add value to the city and to bring people together so we thought long and hard about what to put on the wall. After lots of debate on what slogan to use, one of our partners came up with the slogan Love the Fort, Worth the Love. We knew the minute she said it that it was gold!" Joey highly recommended Starr Studios from Denton. He said they were the best and completely the mural in just 5 hours! Even though it's fairly new it's already getting lots of selfie play. You can check them out by searching the hashtag #lovethefort. I had the pleasure of speaking with Gracey Tune, Founder and Artistic Director of Arts 5th Avenue about this mural. Gracey talked about each person as if they were family. • The singer represents the jazz elements of Arts Fifth Avenue and of course the great jazz singers Billie Holiday, Ella Fitzgerald and Lena Horne. • Django Rhineheart, is the man playing the guitar and the inventor of 'gypsy jazz.' Gracey loves his music so much she created the Django Rhineheart Festival in Fort Worth that happens every January. 2017 will be the 14th year. • The woman dancing is Gloria Whetstone. She studied in New York and became an accomplished tap dancer. In her early days, she was part of 2 Broadway touring companies. She and Gracey became great friends through their love of dance. Gloria could be found teaching even weeks before her death. She was 86. • Theatre has always been an important part of the work at Arts Fifth Avenue, thus the masks on the 'Now Showing' poster. Gracey says, " We wanted this mural to emoting the joy of the thousands of patrons, artists, children, and students who have been inside these walls where we celebrate all the arts." You can find out about all of @artsfifthavenue class offerings for people young and young at heart at their website, artsfifthavenue.org. This wall was my biggest mystery. It was 'Nancy Drew Satisfying' to figure it out. I called several people who might give me some clues and no dice. "Well, I was in the middle of a large project (you may remember the giant statue on Magnolia) and super stressed out. Jeremy said, 'Take a break, man. Let's just go paint on a wall.' So we did." I asked him if the face was based on anyone. "No. I guess you could say it's based on how I felt at the time. I was just trying to get a feeling across...a vessel for a feeling, you know?" I do know. Don't we all know how it feels to be stressed. That face captures it perfectly. Jay and Jeremy have work all over town. Jay says there's a really cool, new mural kinda hidden by the new Brik Venue (on the train track side). Jay has done the Kermit the Frog on Live Oak's outdoor patio and Brewed's beautiful blue wall. You've also seen Jeremy's work at Spiral Diner and Avoca. This yellow wall has become an iconic spot for sharing sweet treats in the @nearsouthside. I almost willing to bet I do not have to tell you it is outside of each @melticecreams building. It all started at their Rosedale location. Countless of delicious cups and cones of freshly made ice cream have been consumed and photographed in front of that wall. It was so popular, they carried it over to their new location on Magnolia. 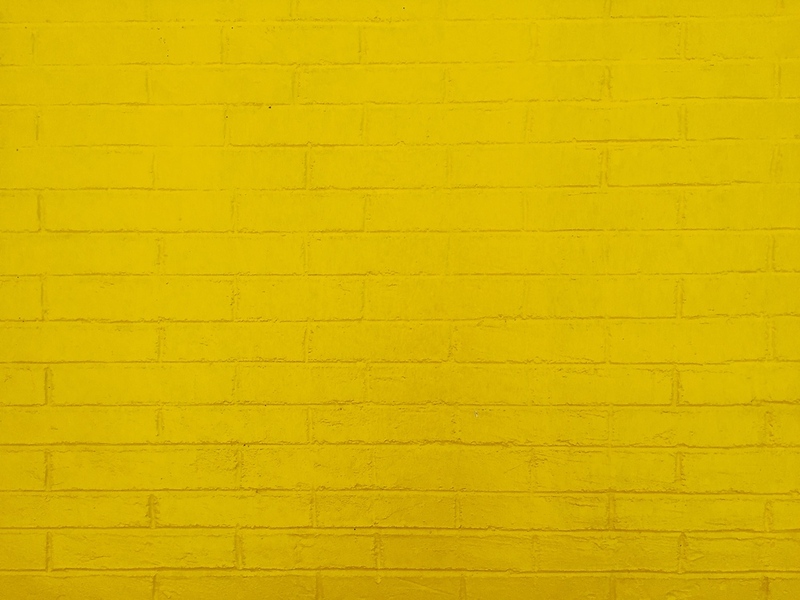 One cannot help but feel happy when standing by this yellow wall and eating one of their unique flavors. In fact, I'm going there now for a scoop of Salt Lick before it falls off the menu again.